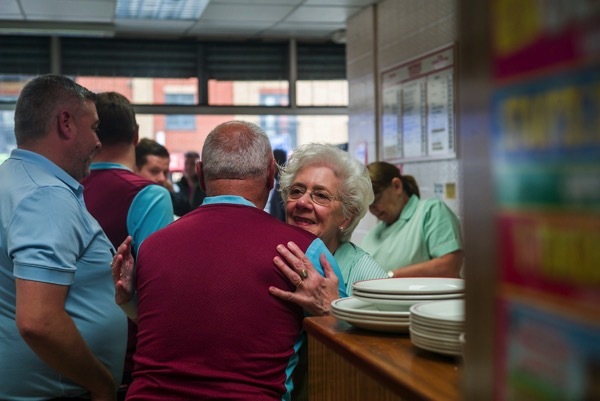 Contributing Photographer Andrew Baker visited Nathan’s Pies & Eels in Barking Rd to record the drama of West Ham’s last home game of the season, when – as they did every Saturday for more than forty years – fans piled in for a hearty meal before the match. 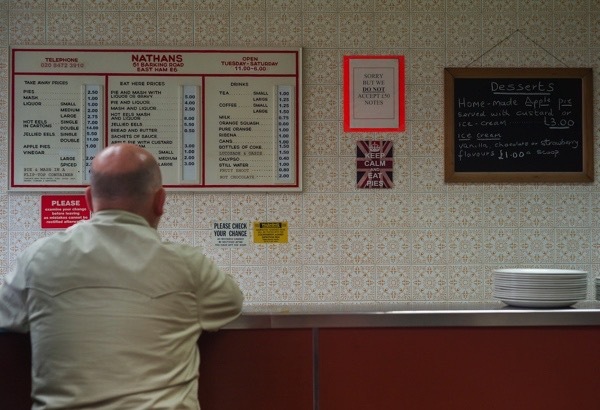 Yet this was a poignant occasion because Nathan’s is now closed for good, shut down by excessive rent increases that have rendered this thriving business untenable. 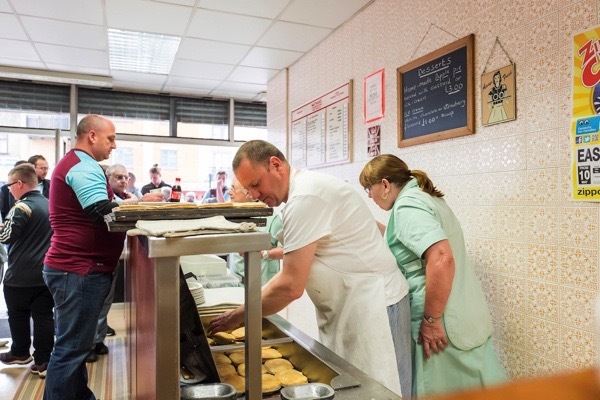 Nathan’s was an East End cultural landmark, a community centre and a culinary destination, cherished for its delicious pies cooked freshly each day to the same recipe by generations of the Nathan family. 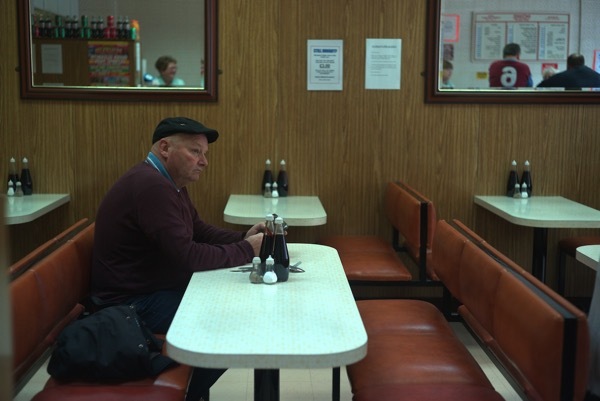 At the moment of the passing of an era, I sat down with Richard Nathan in his beautiful sparkling pie shop to record his family’s story and celebrate their incredible achievement and service to their beloved customers in Newham through the decades. 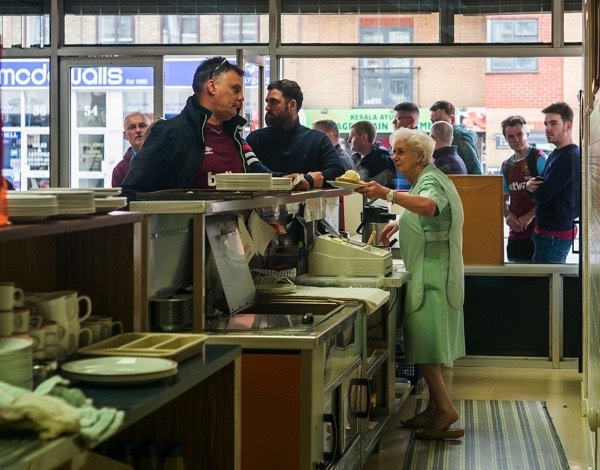 “We opened this shop in November 1974, my great-aunt Dorrie and her husband Roy. Although he was a Minchin, they put her maiden name ‘Nathan’ on the shop. 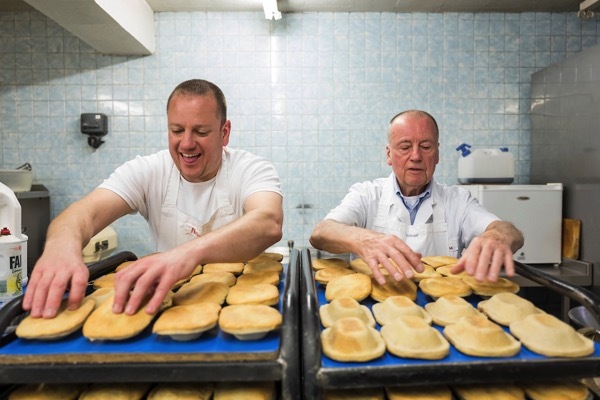 My grandparents had been in the business of pies before that, it had always been in the family. My parents Christine & David took over in 1983 and they still help out in their late seventies. Finally, I am the fourth generation. 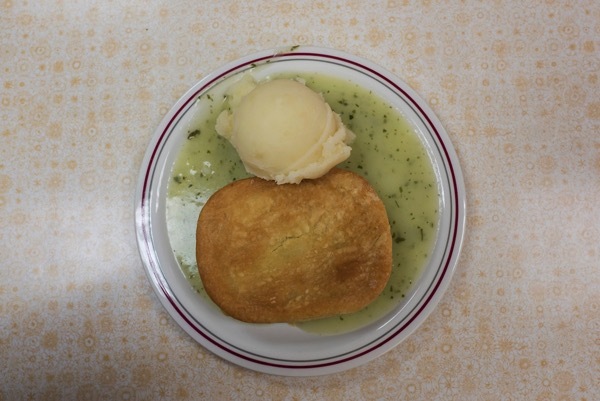 It has always been an Eel & Pie house and we have never changed the recipes. Even though we have been through thick and thin, we have retained a high level of quality. 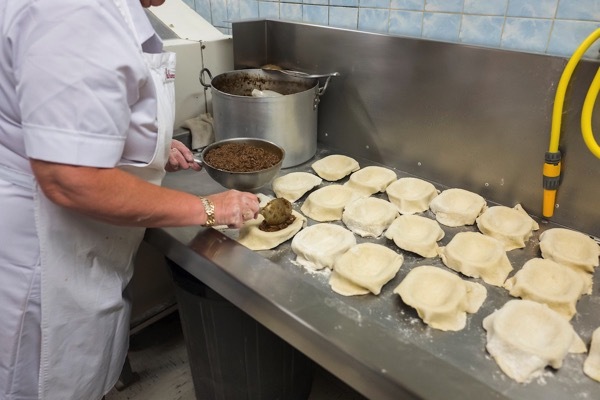 You get a full pie full of meat without any gristle. 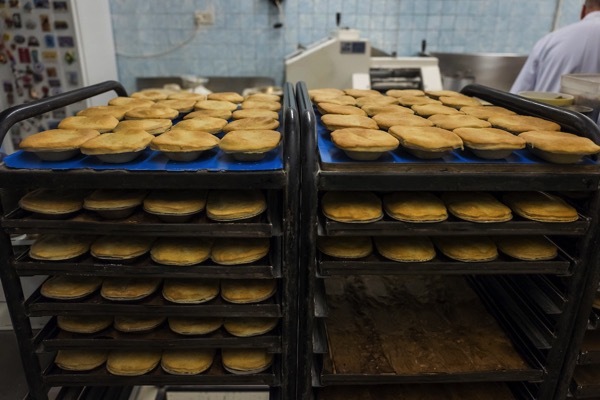 At other places, you might cut into pie and find it full of gravy but not here! 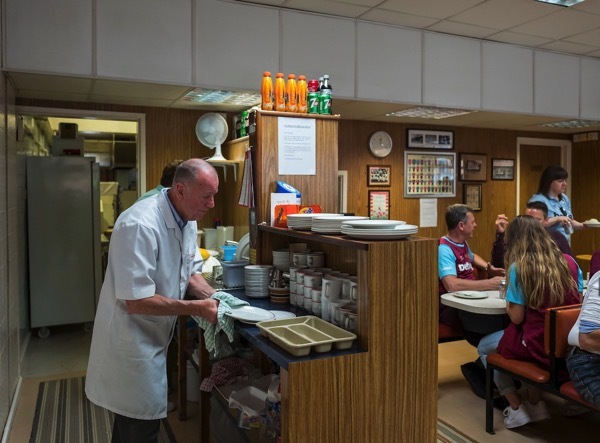 I am the owner-proprietor which means I do everything from unblocking the toilets to making the pies. I had a good teacher, my father. 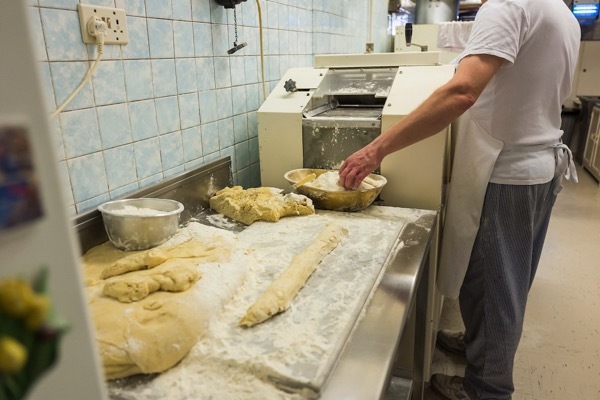 From the age of five, I would be in the bakehouse standing on a chair with an apron trailing down to my feet, cutting bits of dough off the pies. So I have always helped. I worked as a Saturday boy for a number of years and when I left school at sixteen I decided to come into the business. That was thirty years ago next month. Quite some time even though I am still young. I work ten to twelve hours a day, five days a week. It has not made me rich but it has provided a comfortable living, through sheer hard work. 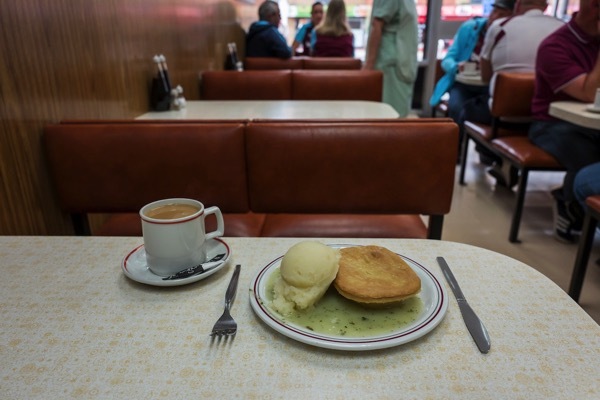 Everybody that works here has made Nathan’s Pie & Mash shop what it is today. 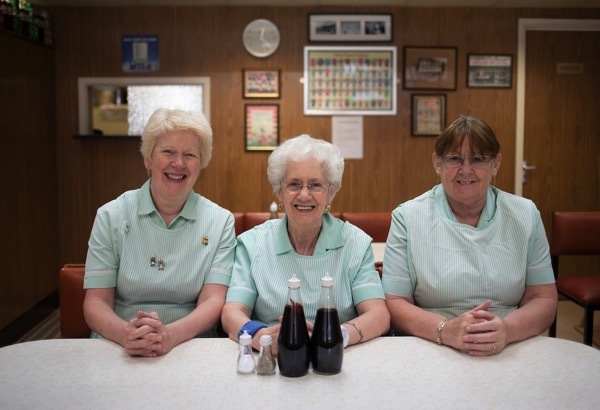 We are closing now after more than eighty years of our family in the business. 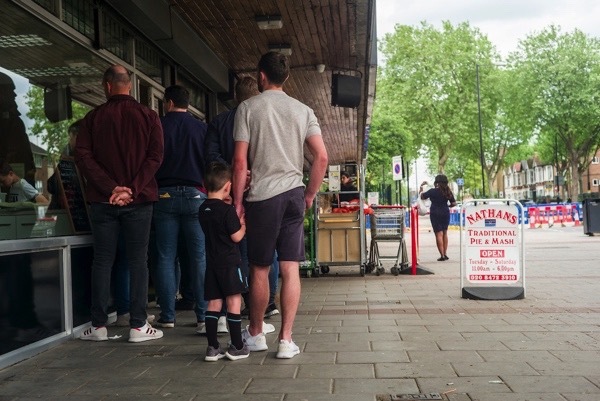 There are lots of factors that have led to shutting the shop – the closure of Upton Park football ground, the imposition of strict new parking regulations so our customers cannot park, the new business rates and a threatened 100% rent increase. Rent is a hard fought battle these days. It used to be like a gentlemen’s agreement that every five years it would increase by perhaps a thousand, but all of a sudden a new regime came in. The council is the landlord but they appointed a property management company. It took me four years of court battles to bring their proposed rent of £22,000 per annum down to reasonable £14, 500, from an original rent of £11,000. Meanwhile the business rates have increased and increased. 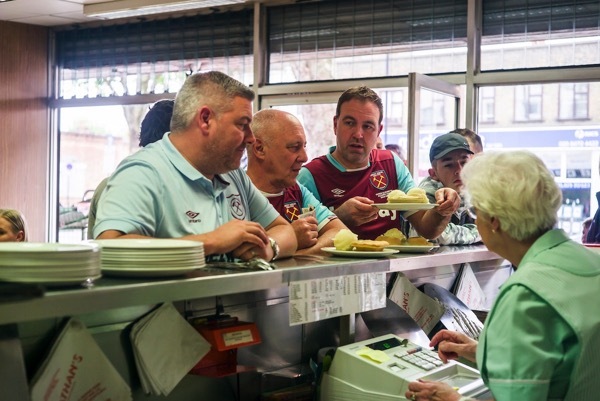 The rent and rates here are over £25,000 a year but I cannot put the prices of my pies to match these increases. Greedy Labour council. Small, honest rate/rent payers like these don’t stand a chance unless pandering to middle class tastes. Probably will be a deli in a couple of months’ time. 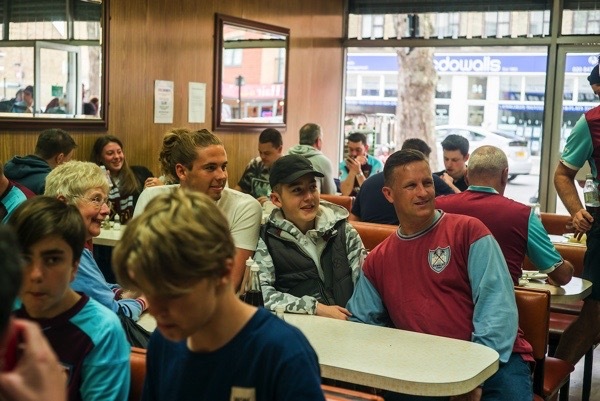 So sad; as a South London lad I loved my Manze’s Peckham or Tower Bridge, or on Saturday Cooke’s at The Cut, and a couple of pints next door, then off to Cold Blow Lane. The rent increases facing small business are untenable. 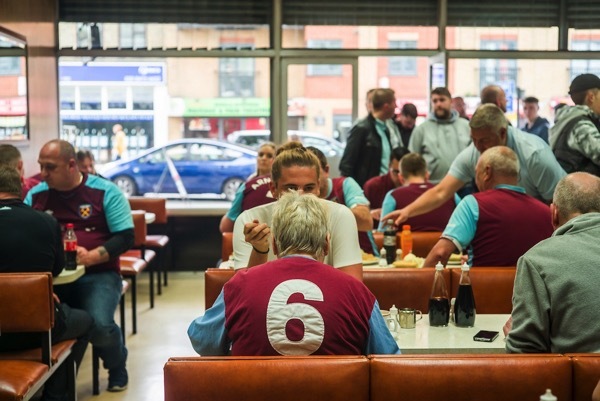 Plus, in this case, the loss of Upton Park. This makes me very angry. Good business, sound reputation, solid part of a community and all priced out of existence by market forces. I started following your blog recently and really enjoy your writing. 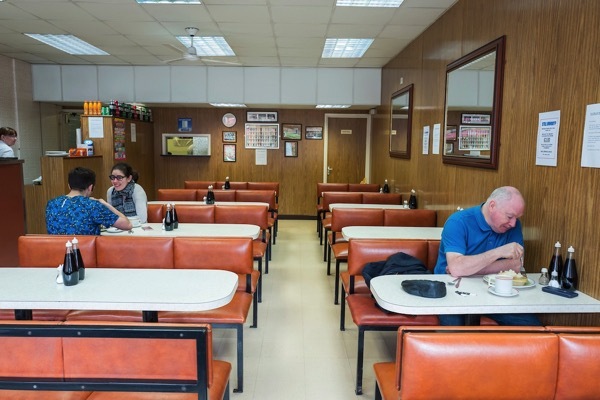 So sad to here of places like this closing, especially when it is related to overheads such as rent. I think I am also thinking that coffee houses that sell cheap food and get a higher margin (and cause tremendous amount of litter and waste) can pay these big rents, where as a place that serves well made, more nourishing food (on real crockery) with higher overheads is unable to compete…..
Annie, The Labour council is his landlord, and they also set the rates. So they are the ‘market forces’. Contracting out renting to a third party is what Tories are usually blamed for. 100 percent rent increase? 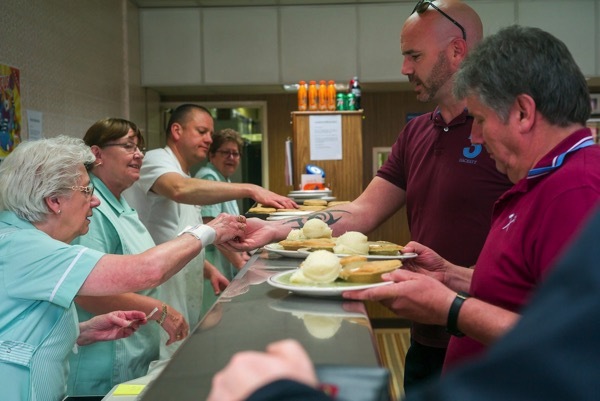 The council are just soaking local businesses, until they hit the wall it seems. G’day from Australia Brisbane, so sad to read about the store closing. More history and tradition lost. Will they be selling anything from the store? I collect shop paper bags / packets with logos on them. What a shame. More history, culture and traditions lost. 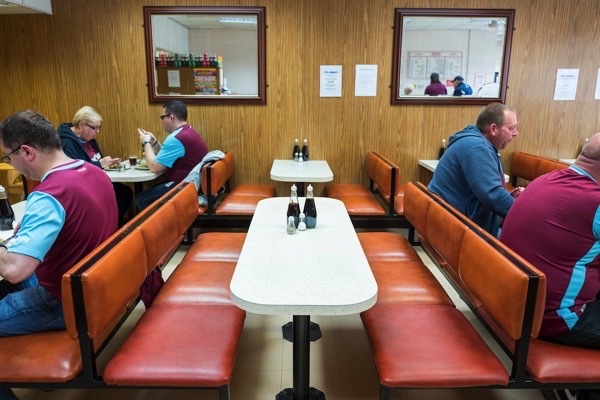 The tragedy is that these traditional LONDON eateries are being forced out of business. They should be protected from greedy councils. 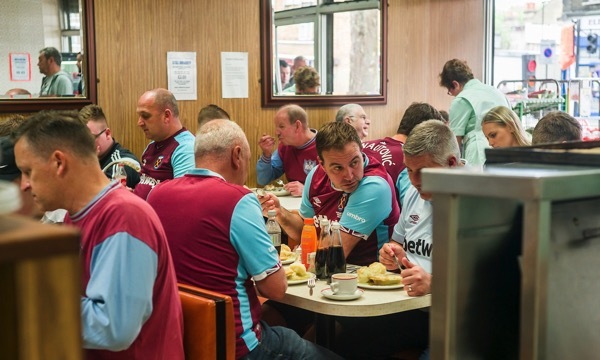 Pie and mash, jellied eels are some of the low cost foods that kept Londoners fed, along with fish and ships, faggots and lease pudding. Cheap, cheerful and healthy. Soon there will be none left. There should be a revival of these traditional foods. Please some chef take note. 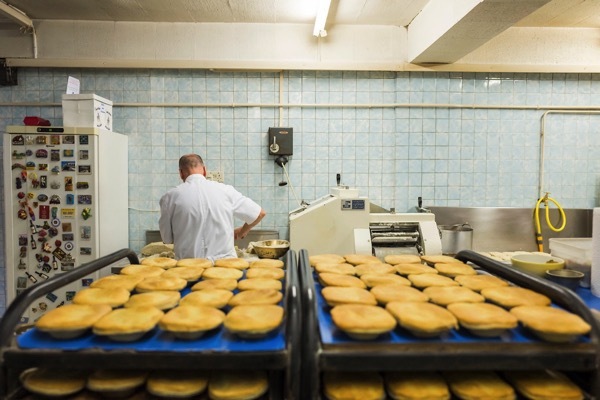 Don’t let the pie shops disappear! What a crying shame – they are ripping the heart out of our country, we will have no links to the past, our children will be the poorer for not being able to experience their cultures and traditions. Some developer has their eye on that block so they drive the rents up until the businesses have to move or shut down. It’s deplorable. I love pies. 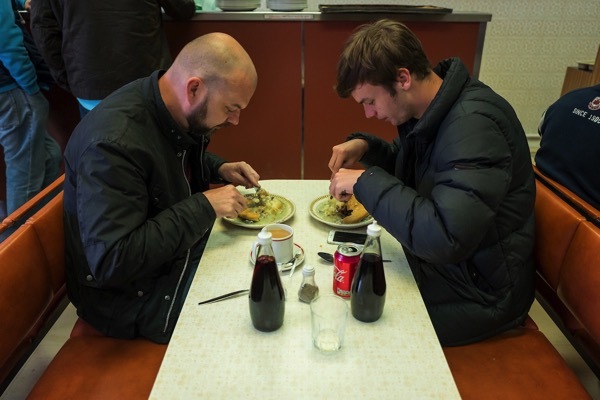 I’ve been to England three times for long weekends; Manchester, Birmingham and Leeds. Every time I’ve sought out a place neat the hotel that made good pasties and that’s what I lived on for 4 days. If I could, I’d fill my suitcase with them on the return trip. I’ve tried in vain to recreate the pasty in my own kitchen but it just isn’t the same. 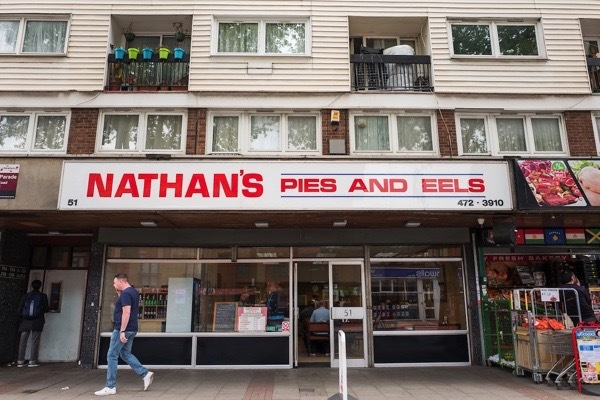 So sad that if I ever get to London I will not be able to have a pie at Nathan’s. That would have been tops on my list, along with the Hounds of Hackney Downs. Do have parsley sauce, not gravy, and do try a little with the chili vinegar, which is in bottles on the tables (Londoners call it ‘moody vinegar). First love your blog. One of my absolute favorites. And this story is so sad. How can the council not see that all the changes that are happening mean that the wealth and money is being taken out of the local businesses and local people, and instead given to corporations that have remove the money from the neighborhood? The jobs being created by the corporations are low wage jobs. 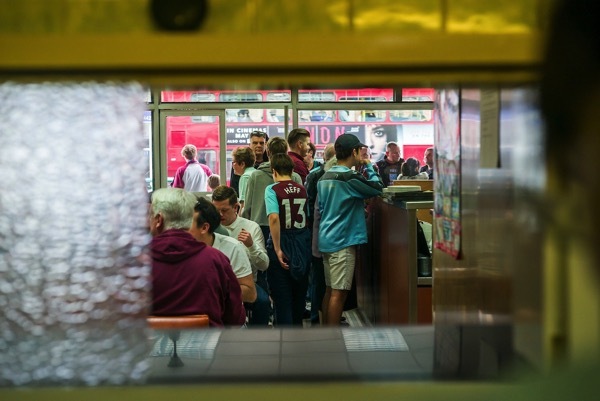 Shops like “Nathans” can’t be replicated by a corporation. Unfortunately, these stories are happening all over the westernized world. How people can think that companies like Starbucks with surly, low-paid employees are somehow better for the world than someplace like Nathans makes no sense to me.